The Japanese Iris and Oriental Iris are the common names for Iris Kaempferi / Iris ensata. They are hardy perennials, and bloom in the summer. Japanese Iris has sword shaped leaves and carries blue, white or purple flowers atop 70 to 90 cm long stems. Photographs: Iris ensata by TANAKA Juuyoh (田中十洋) and Ajari. 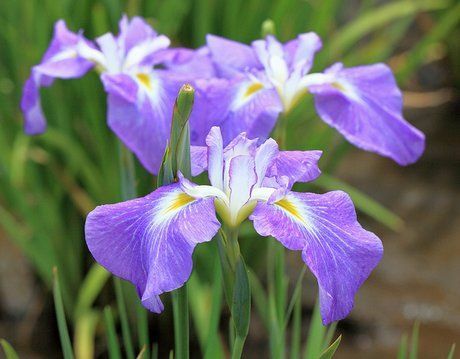 Common Names: Japanese Iris, Oriental Iris, Ensata Iris, Japanese Water Iris. Flower Details: Blue, pink, purple, lavender, red, white. Copigmentated. No beards. Sow Outside: 1/4 inch (6 mm). Seeds should first be sown into flats in the autumn or winter. Next sink the flat into the ground in an area that offers shade, preferably close to a wall that faces north. Provide a glass/plastic covering. Keep an eye on the flats to ensure that the soil remains moist. After five weeks bring indoor and keep at a temperature of 60 to 70°F (16 to 21°C). Put flats outside again before the last frost of spring. Provide a regular feed for the growing seedlings. Transplant Iris seedlings in late spring if they look strong or in the autumn (plant in a depression shaped like a saucer). Sow Inside: Germination time: one to eighteen. Can be done anytime of the year. Mix Iris Kaempferi seeds in a moist growing medium, wrap in a plastic bag, then stratify by refrigeration for five weeks. Next sow the seeds and keep at 60 to 70°F (16 to 21°C). Seedlings can be transplanted into a three to four inch (7 to 10cm) depression in either spring or autumn. Requirements and care: Full sunlight or partial shade. Soil pH 5.0 to 7.0. Enriched soil. Heavy soil. Wet/moist soil. Provide fortnightly a liquid manure feed whilst growing; alternatively use a supply of 10:10:10; Rapid Gro or Miracid of camellia. Maintain vigour by dividing in the autumn about every three years. Use a mulch to help keep the soil moist. Propagate: by dividing Iris Kaempferi and Iris ensata tubers following flowering. Miscellaneous: Rejuvenate by potting in a mixture of 30% to 50% cow manure: 50 to 70% soil. Place the pot in a two inch (5cm) deep pool of water. It should take just over a month for the plants to develop new roots. Once the roots are strong replant the Japanese Iris in the garden. Japanese Iris can be grown outdoors from seed by sowing at a depth of 6mm in the autumn or winter. It is best to sow them into flats in a shady part of the garden. After they have been exposed to the elements for a month or so (frost required), bring the flats indoors until the spring. Give plenty of feed and transplant the seedlings in th early autumn to their final location. Once ready Japanese Iris should be spaced about 25 cm apart. They can grow in either sunny or areas of the garden that have part shade. Japanese Iris and other Kaempferi members like to grow in a soil that is rich, slightly acidic to neutral pH (5.5 to 7), and damp. The germination of Japanese Iris can be anything from one month to one and a half years, so patience is required to grow Japanese Iris. 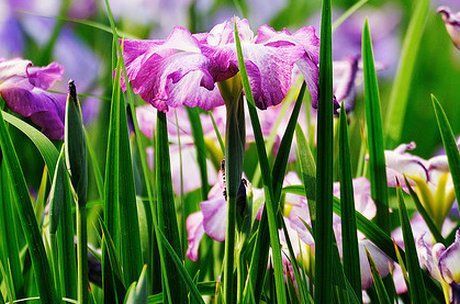 It is necessary to feed Japanese Iris with liquid manure and to divide it every 4 years to get best results. 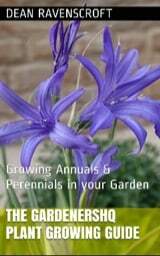 if you require ore plants then either hand pollinate the flowers to produce seeds or split the tubers once flowering has completed.